This pious cross-eyed cat, who goes by the name Gli, is a permanent resident of Hagia Sophia in Istanbul. 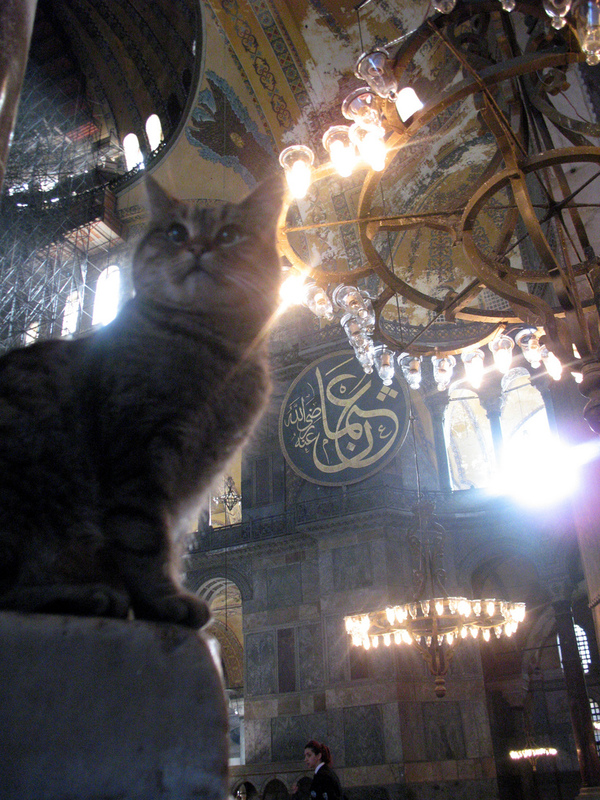 Perhaps the most famous cat in Turkey, Gli has been living in Hagia Sophia since it was born in 2006. 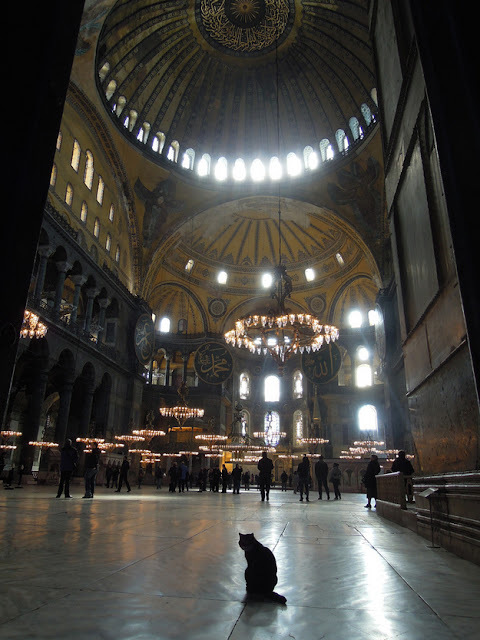 Gli is one of the seven cats that are being taken care of at Hagia Sophia. 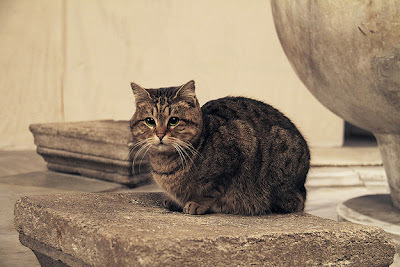 Workers provide food for the cats throughout the day and take care of all their needs. Follow Gli on Twitter and Tumblr.